EVERETT, Wash. – The Everett Silvertips (@WHLSilvertips), five-time U.S. Division champions of the Western Hockey League, announced in conjunction with the WHL today that Silvertips goaltender Carter Hart has been awarded the Del Wilson Memorial Trophy as the league’s Goaltender of the Year, and forward Brian King has been awarded the Daryl K. (Doc) Seaman Trophy as WHL Scholastic Player of the Year. Both players were honored today at the WHL Awards Show in Calgary. Hart, 18, is the fourth player in WHL history to win the Goaltender of the Year award in back-to-back seasons, joining Chet Pickard (Tri-City), Mike Vernon (Calgary), and Ray Martynuik (Flin Flon). As a WHL First Team All-Star (Western Conference) honoree, he led the league in shutouts (9), goals-against-average (1.99), was tied for the league lead in save percentage (.927) and went 32-11-6-2 in 54 games this season while helping guide the Silvertips to their second U.S. Division title in three years. He backstopped Team Canada to a Silver Medal in this season’s World Junior Championships in Toronto and Montreal, earning a 2.38 goals-against-average in four games of competition. He earned Player of the Game honors in Canada’s semifinal victory on Jan. 4 over Sweden at Montreal. The Sherwood Park, Alberta native is second on the Silvertips all-time shutout list (19), trailing Leland Irving by two and trails the league record by seven shutouts. 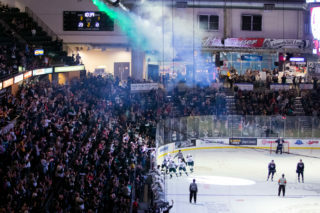 He is the reigning Canadian Hockey League Goaltender of the Year and was named Silvertips Most Valuable Player in back-to-back seasons as well. Last summer, Hart was the first goaltender selected in last year’s National Hockey League Entry Draft and selected by the Philadelphia Flyers in the second round (48th overall). 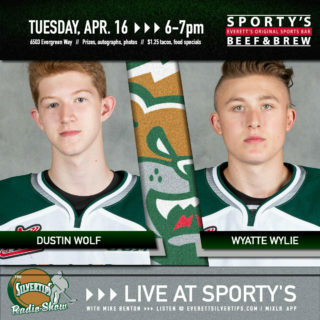 In 149 games of his Silvertips and WHL career in net, he has a record of 85-40-9-9, goals against average of 2.13, and a save percentage of .921. 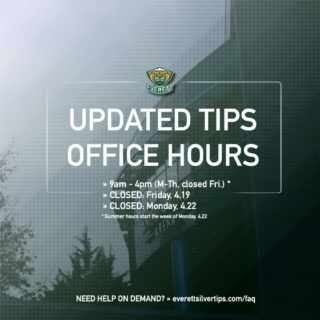 He helped the Silvertips advance to the second round of the 2017 WHL Playoffs following a six-game series triumph over the Victoria Royals and notched a first-star performance by making 64 saves in a marathon game that set a Tips, WHL and CHL record for the longest game in history as the Silvertips squeezed out a 3-2 win in the fifth overtime of Game 6, clinching the victory after playing 151:36 of hockey. 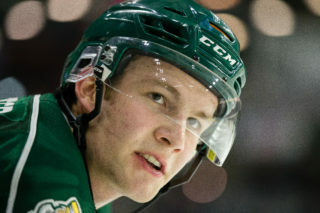 King, 18, earned the Silvertips “Unsung Hero” award and totaled career highs in points (17) and games played (62) in his second season with the Silvertips, en route to helping guide the club to their fifth U.S. Division title. The Golden, Colo. native played in all ten playoff games and balanced his academic goals with the WHL schedule this year, posting a 4.0 GPA while handling core AP English, Calculus and Physics courses. He enrolled in College in the High School courses and multiple other honors classes while maintaining his GPA. Ranked first in his class at Everett High School, King qualified for membership in National Honor Society this year and posted a score of 1490/1600 on the new SAT. 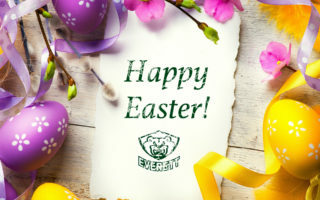 King is a leading candidate to become the valedictorian of Everett High School and also routinely spends time providing tutoring to his teammates. The 6-foot, 180-pound center was selected by the Silvertips in the fourth round (82nd overall) of the 2014 WHL Bantam Draft. In 1996, the Scholastic Player of the Year Trophy was named in honor of Daryl K. (Doc) Seaman, a pioneer in promoting higher education and hockey as well as a leading supporter of the WHL’s education and scholarship programs. Del Wilson is honored for his many years of service to both the Regina Pats and the Western Hockey League. Wilson was an owner, Governor and General Manager of the Pats and served six years as Chairman of the Board, as well as the WHL’s Referee-in-Chief. Wilson, along with league co-founder Jim Piggott, led the WHL into a partnership with Ontario and Quebec, and today there are 59 Major Junior teams in the three Leagues. Wilson passed away in November of 2015 at 88 years of age.